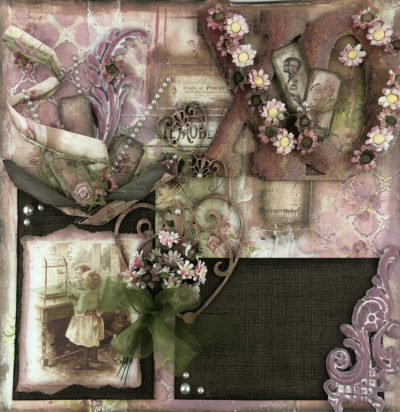 Layers is a new class that I, Erin, am teaching once a month, featuring ways to incorporate layers upon layers on your scrapbook page or shadow box decor for your home. Learn different styles and designs each month to make your projects pop! Use objects on your pages like zippers, pearls, fencing, loads of ribbon, and obviously layers of paper! 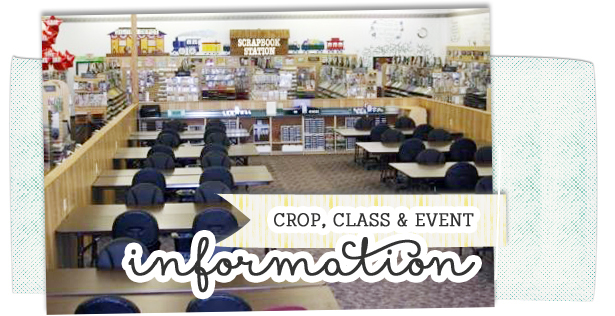 Join me on this new adventure and expand your scrapbooking/decor horizons! FEBRUARY: This month, we are working Prima’s Love Storyline and some 3-D S.A. Crafters to create an amazing dimensional page or wall decor for the romantic month of February! Flowers, key moulds, and some distress ink complete this beautiful shabby chic project! Learn how to incorporate chipboard and wood, as well as those flowers on our charm table into your projects!